We love to make our own spa treatments. It’s so fun to take everyday ingredients and turn them into something special. 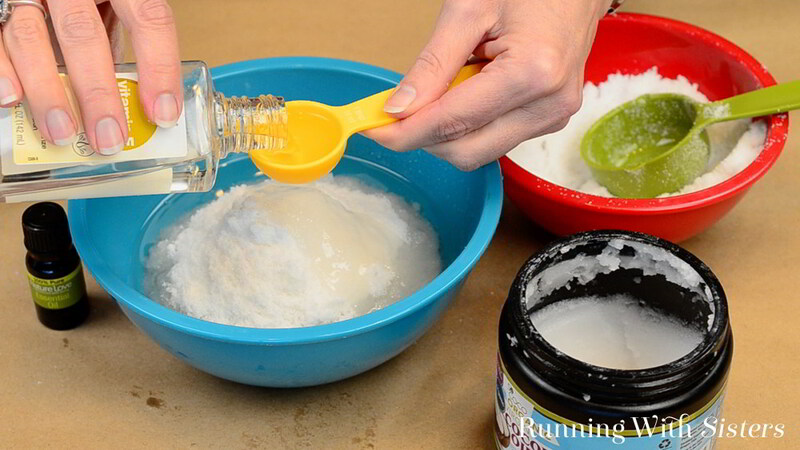 Here’s a fun spa treatment that will take us right through summer: Coconut And Lime DIY Footscrub! 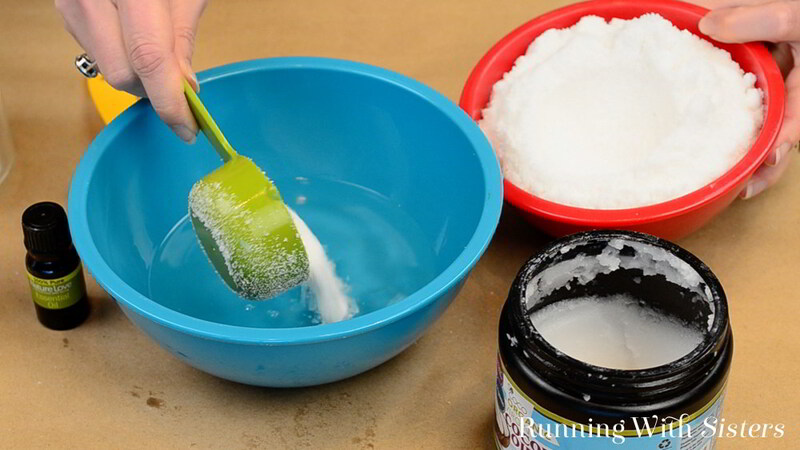 This spa craft is so easy to make. And if you want to give it as a gift, we’ve got a label you can download and print. 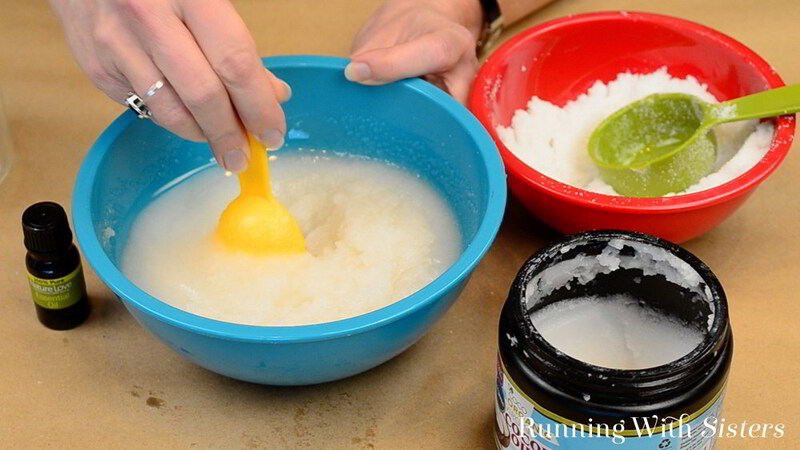 We made a video to show you the ingredients we used to make the Coconut And Lime DIY Footscrub. We’ll show you how easy it is to mix up the recipe. 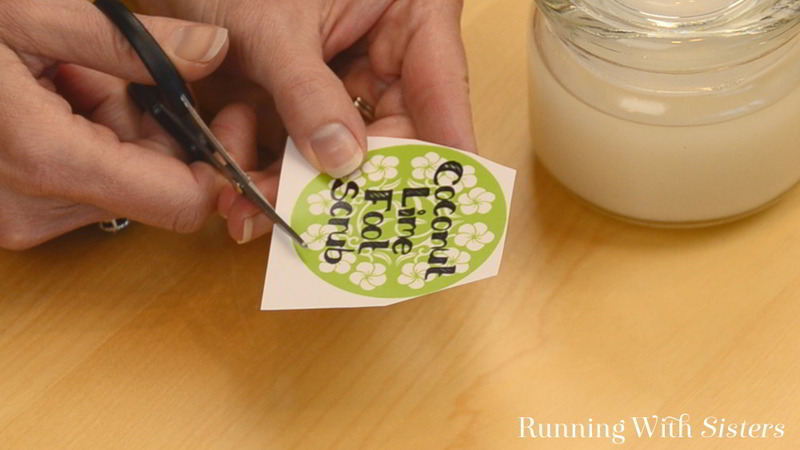 And we’ll show you how to cut out the label, laminate it, and added to a jar. Such a fun gift! 1. 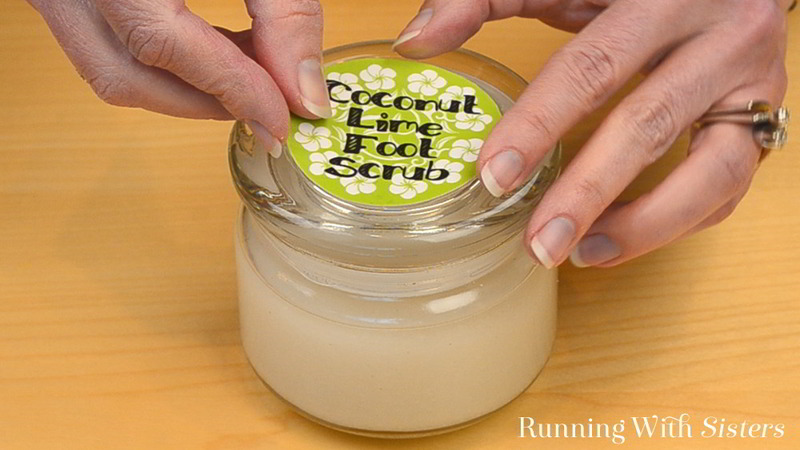 The first step to make the footscrub recipe is to measure the coconut oil. 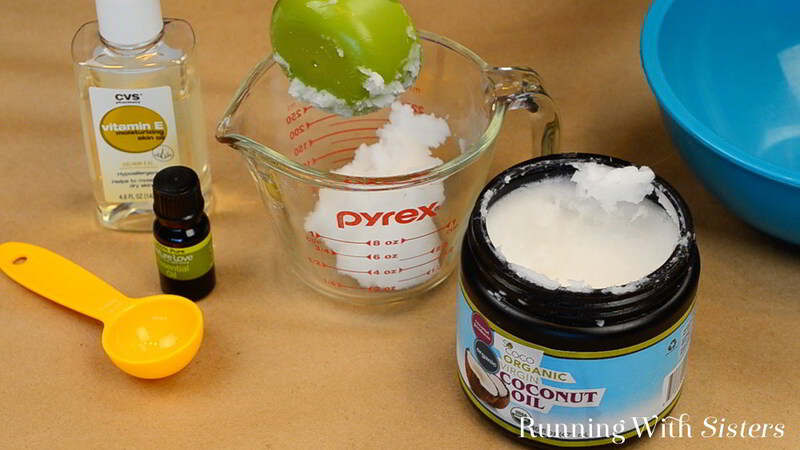 You’ll notice when you open the jar that coconut oil is solid at room temperature. So to blend it, you’ll want to melt it. Measure out 3/4 cups into a microwavable bowl (we used a Pyrex measuring cup). Heat it a little at a time in the microwave until it is liquid. 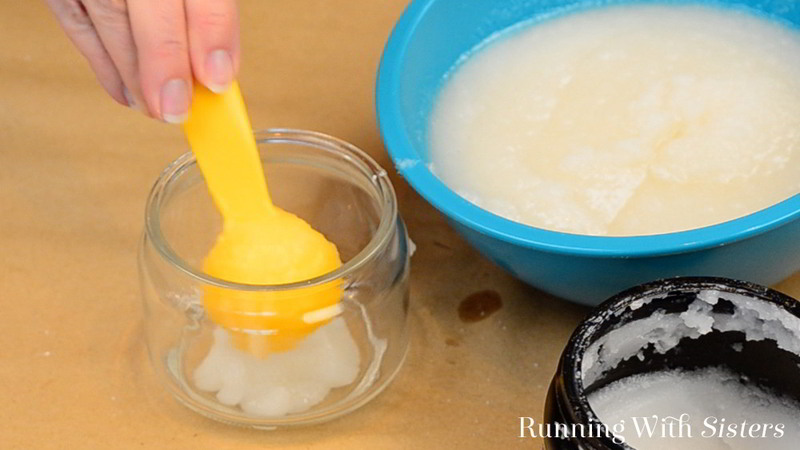 Pour the coconut oil into the mixing bowl. 2. Next add 2 cups of sea salt or Kosher salt into the bowl. Kosher salt will give you bigger grains. Sea salt is finer. 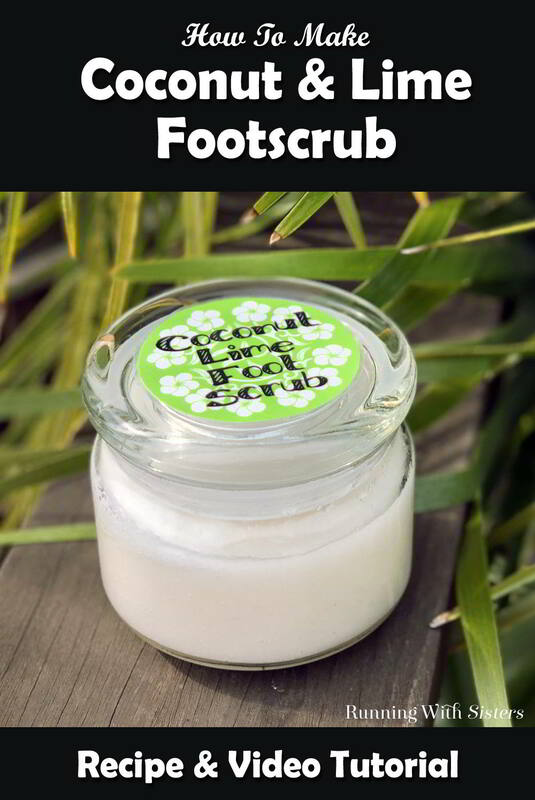 Both are great exfoliants for feet! 3. Then add 3 Tablespoons of Vitamin E oil. Vitamin E oil is a terrific moisturizer and supposedly has healing benefit. So why not? 4. 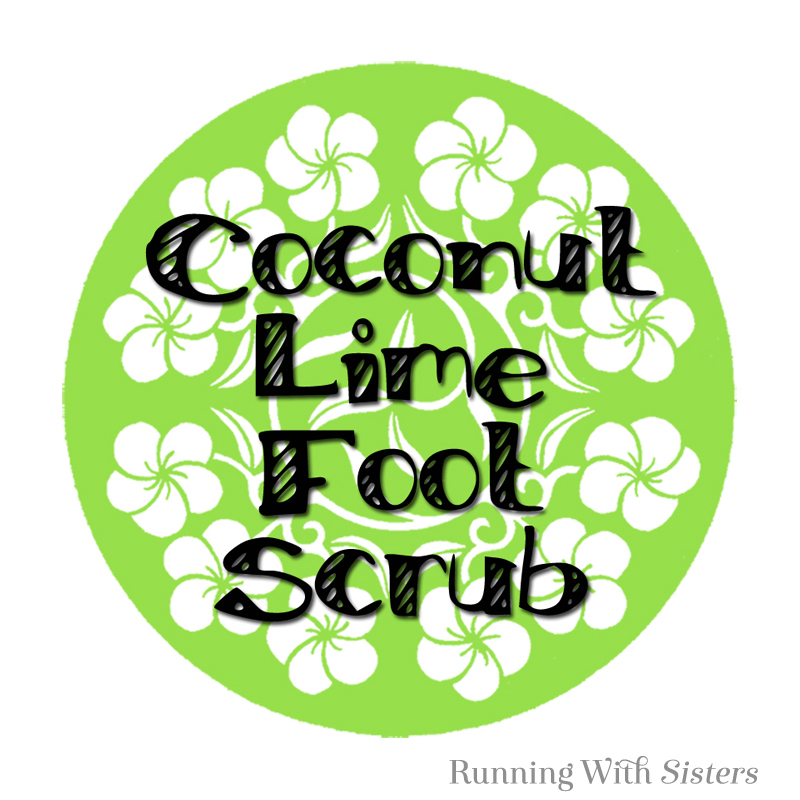 At this point the footscrub will smell deliciously of coconut just from the coconut oil. We decided to add a little zing with lime essential oil. Stir in 10 – 20 drops of the lime essential oil. So refreshing! 5. 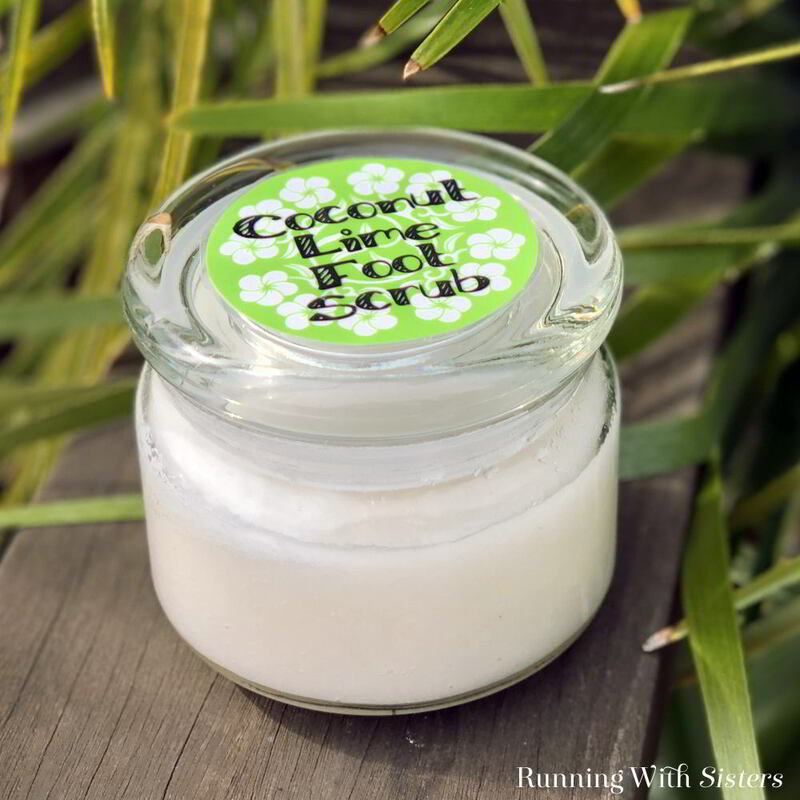 Your scrub is ready to use, but if you want to keep it for later or give it as a gift, spoon it into a jar. We save pretty jam jars for spa crafts and we also find lovely ones like this gasket lidded jar online. 6. Download the label by right-clicking. Print it out on cardstock and cut it out. You will want to laminate it to protect it from the oils in the scrub. To do this, cover the front with clear packing tape. Overlap two pieces of tape to make it wide enough. Then cover the back. Cut the “laminated” label out, but leave about a 1/8″ border all the way around the label. 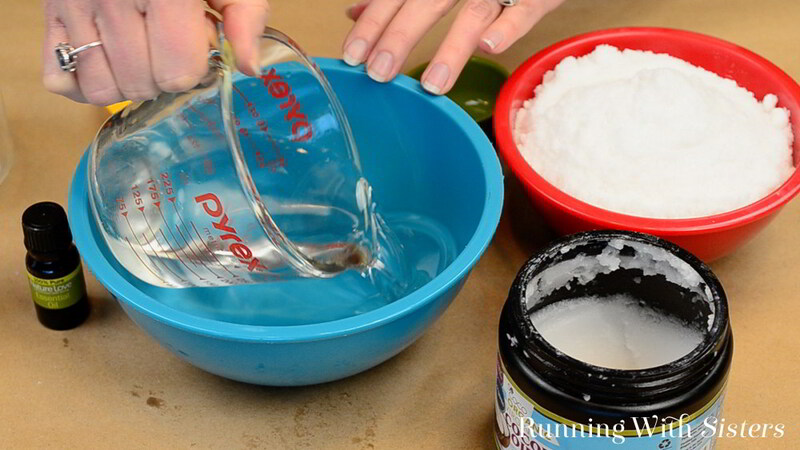 Attach the label to the lid of the jar with double-stick tape. 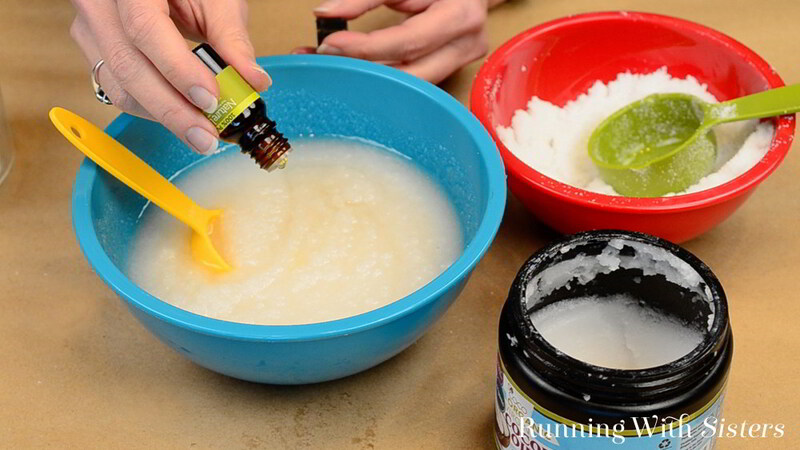 Do you love to make your own spa crafts? Tell us what you make!